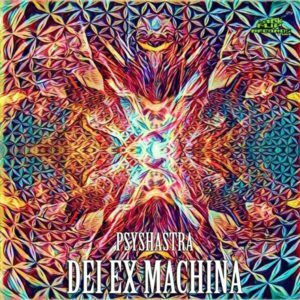 Psyshastra are back on Backflip Records with their third ritual experience, Dei Ex Machina, literally “Gods from the Machine”. Gathered here are five nocturnal adventures in the artist’s signature style designed to take you through the forest and further on to realms beyond. All tracks composed, mixed, and mastered at The Loop Studio by Dar Kapo and Ron E. Artwork by HAshiSH. MP3 Download | FLAC Download | WAV Download · Download count: 7,236. I have all your albums <3 great album apo dar kapo! Track 2 is a bangerrrrrrr! Through the Forrest <3 Greetz! Forest psytrance from the motherland!